They kinda grow on you, when you’re not hooked after the first one, you can’t stop eating them after the second one 🙂 They have this awesome aftertaste. Do not preheat oven – this dough must chill before baking. Melt the cup of chocolate in a butter. Stir until smooth and let the mixture cool. Combine sugars, add vanilla extract, salt, baking soda and beat in 2 beaten eggs. 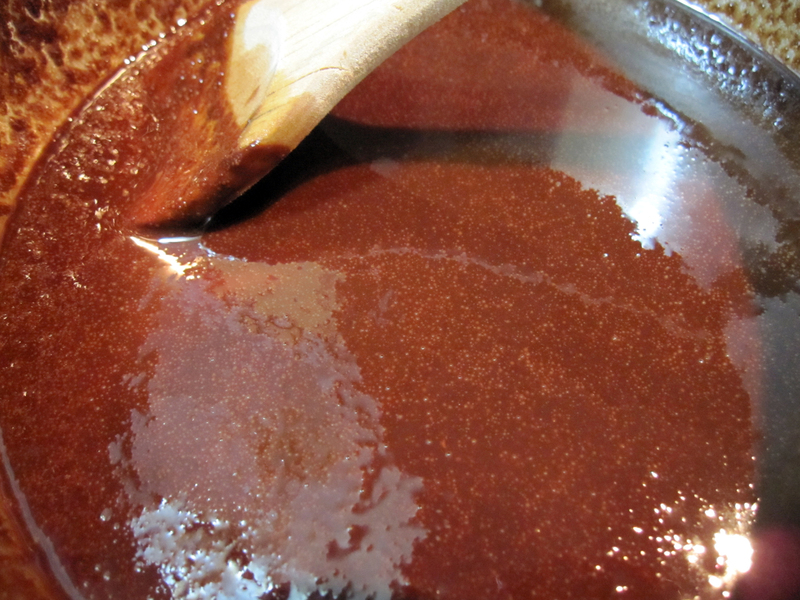 If the chocolate mixture is cool enough add it to the sugar mixture. Add the flour half a cup at a time, stirring every time. Cover your bowl and refrigerate it. I chilled it overnight but an hour is good too. It got a bit too hard so I microwaved it a little bit before starting to form the balls. The coconut filling must chill as well. 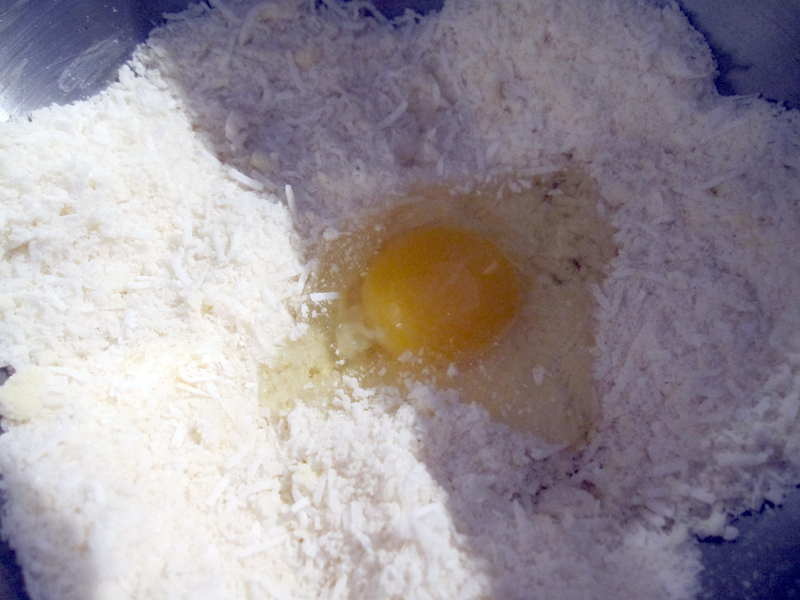 In a food processor mix together coconut, sugar and flour. Pulse several times so that the coconut flakes are no longer a quarter inch. Cut the butter into four pieces and add them to your work bowl. Pulse again till the mixture looks like coarse meal. Add the beaten eggs. Mix. When you’re ready to bake, preheat oven to 350 F degrees. Form balls of chocolate dough, 1 inch in diameter, with your hands. 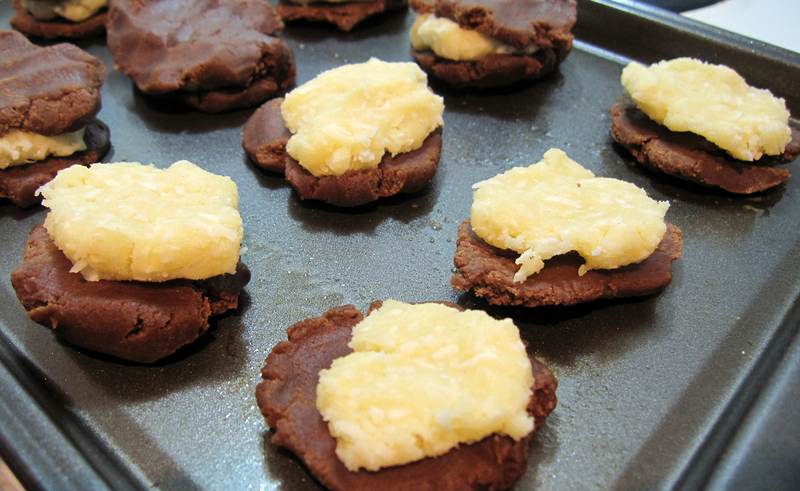 Place them in a greased cookie sheet, 12 to a standard sheet. Press them down with your impeccably clean hand. Form balls of coconut mixture, just a bit smaller than the chocolate balls you made. Place them on top of each squashed chocolate ball. Now squish these down. Bake 9 – 11 minutes. Let them cool for a few minutes and then use a spatula to move them to a wire rack to complete cooling. 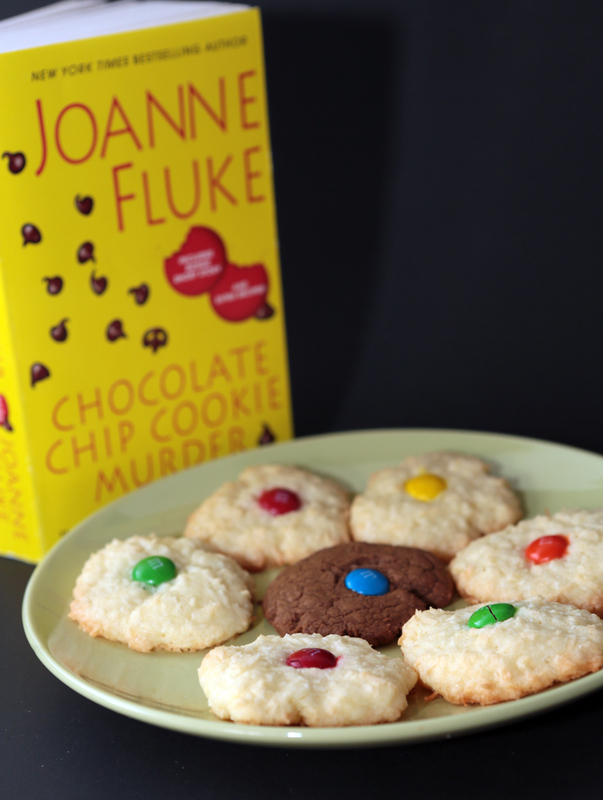 This was the last recipe from the first Joanne Fluke book “Chocolate Chip Cookie Murder”.